Deiniol, d584, known as the first Bishop of Bangor, Wales. 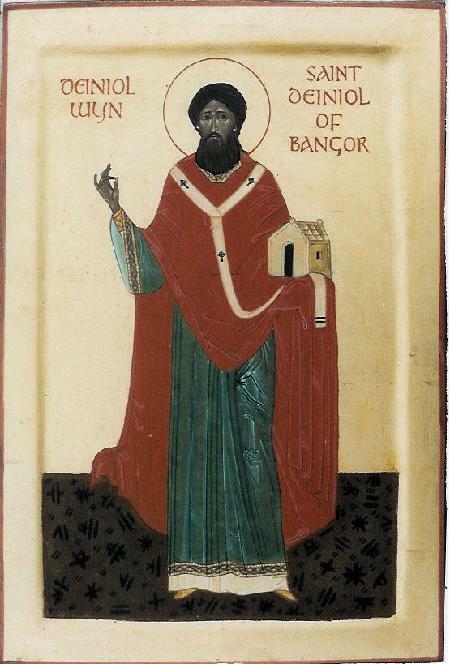 Bangor Cathedral, dedicated to Deiniol, is on the site where his monastery stood. Deiniol is described as one of the seven blessed cousins and spent part of his early life as a hermit. He was called to be a bishop “despite deficiencies in his formal education”.